Prof. Simha Goldin, father of Hadar Goldin, accuses prime minister and the ministers of violating social contract with citizens. 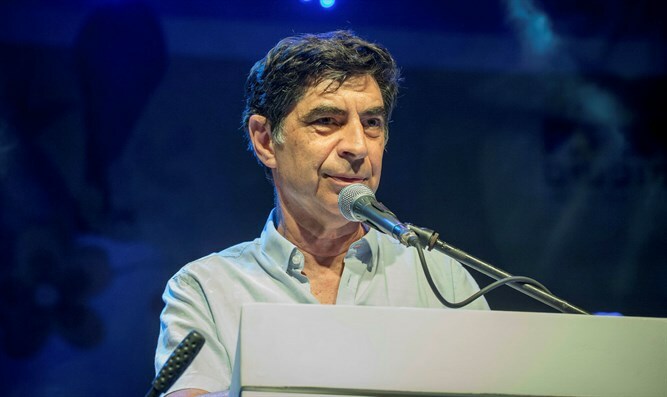 Professor Simha Goldin, the father of Hadar Goldin, whose body is held by the Hamas terrorist organization along with the body of Oron Shaul, is furious at the government and its leader because of the easing of restrictions on the Hamas regime in Gaza. "The opening of the gate at Kerem Shalom and the passage of goods back into Gaza may save Hamas for the holiday they have next week, but it will make it harder for us. It is simply capitulation," Goldin said in an interview with 101.5FM Radio. He harshly criticized the prime minister and the ministers and used particularly harsh words when he spoke about their commitment to return the bodies of soldiers from Gaza. "This is a violation of the social contract, which is far more serious than treachery ... What happened with Hadar and Oron is breach of the covenant and damage to national strength." "When I was with my family at Netanyahu's house, a few months after Hadar was killed and kidnapped by Hamas, the plan was clear and he spoke about it and signed it and made a commitment to it. He said that any agreement with Gaza, any upgrading or rehabilitation, would be conditional upon the return of the soldiers. For four years he has not kept what he has committed and now comes the climax," added Goldin.